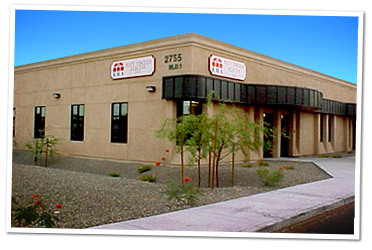 Since 1965 Matt Fischer Realtor has been the best choice for real estate services in the Yuma, AZ area. Our agents know the area and the market, and are experts in handling your real estate transactions. Since we affiliated with ERA in 1980, we have grown to be one of the Top 50 offices in the ERA family out of over 3,000 worldwide. Welcome to Yuma! ERA Real Estate will be the company of choice for customers and agents because ERA sales associates are ethical, forward-thinking and results-oriented professionals who take a proactive approach to real estate. Therefore, agents can be sure they'll have the best tools and training to accomplish any job. ERA Real Estate greets its 30th Anniversary year with a record of astonishing growth and a winning combination of unique products, affiliate support and entrepreneurial spirit. Looking back is unusual for a company defined by looking forward, but ERA Real Estate has as many accomplishments to take stock of as it has achievements ahead. Long before the fax machine became a household word, ERA Real Estate was using it to sell homes. Known to ERA customers as "The Moving Machine," it was an unprecedented national marketing resource, which could serve the burgeoning relocation market by transmitting listings from anywhere in the country to any ERA location. ERA Real Estate also broke new ground with the first nationwide home warranty program. Introduced as the Buyer Protection Plan and now called the Home Protection Plan, this program covers costly, unexpected repairs on a home's major working component furnaces, wiring, plumbing and more for a year after purchase of previously owned homes. We understand what a sensitive, emotionally charged process the buying or selling of a home can be. We know that it involves one of the biggest commitments a family can make. That is why ERA professionals are totally committed to providing whatever it takes to help you through the process, to keep you well informed, and to make sure you have the right answers to the many questions that inevitably arise during any real estate transaction. If you're ready to buy or sell, you will, of course, want professional help -- and we hope you will think of ERA Real Estate. You will find that our specialists are totally committed to your needs. If you need a quick answer to a specific question, or more general advice about buying or selling or contact us on ERA.com. We'll put you in touch with the ERA real estate professional nearest you, who in turn will make sure you receive the information you need, without any obligation.